Kirkcaldy Canoe Club paddler, Rachel Syme, has been selected for the British team for the European Under 23 Sprint Regatta from 23-25 June 2017 in Belgrade, Serbia where she will paddle as a member of the K4 500m crew. 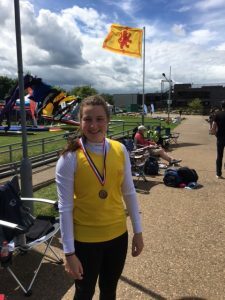 Her selection follows a series of crew boat trials and training camps at the National Watersports Centre in Nottingham over the past 2 months culminating in their boat winning the Under 23 British National Championship at the beginning of June. 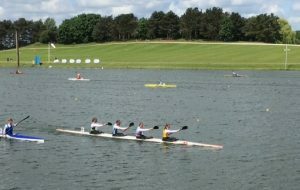 She is joined in the K4 with Emma Ricketts of Anker Valley CC, Tanisha Clayton of Holme Pierrepont CC and Lucy Lee-Smith of Norwich CC. Our best wishes go to all of the GB team at the event.